1 of 1 Cut cucumbers into 3/4-inch rounds (you will need 20). Scoop out centers (opening should be 1 inch across and 1/2 inch deep). Separate salmon slices and place on a cutting board. 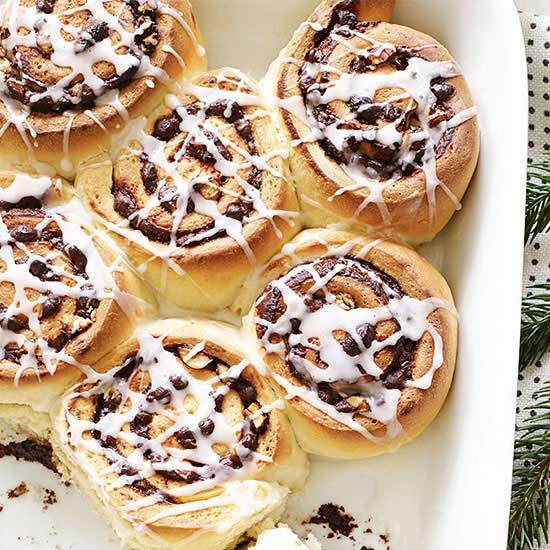 Spread a very thin layer of whipped cream cheese on each slice and roll up tightly. 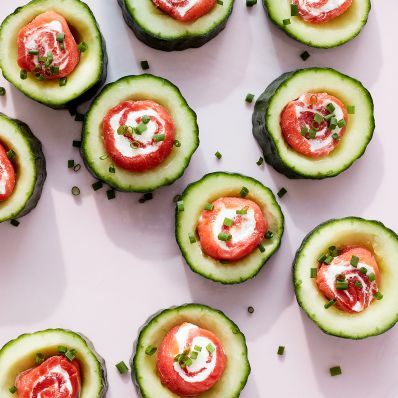 Slice into 1/2-inch pinwheels, then fit one into each piece of cucumber, flattening slightly. Sprinkle with snipped fresh chives. Makes 20 pieces. Tip: If you're in a rush, just chop salmon and mix with 1/2 cup whipped cream cheese and 2 tsp chopped chives. Store: Filled bites will keep up to 2 days in the fridge.